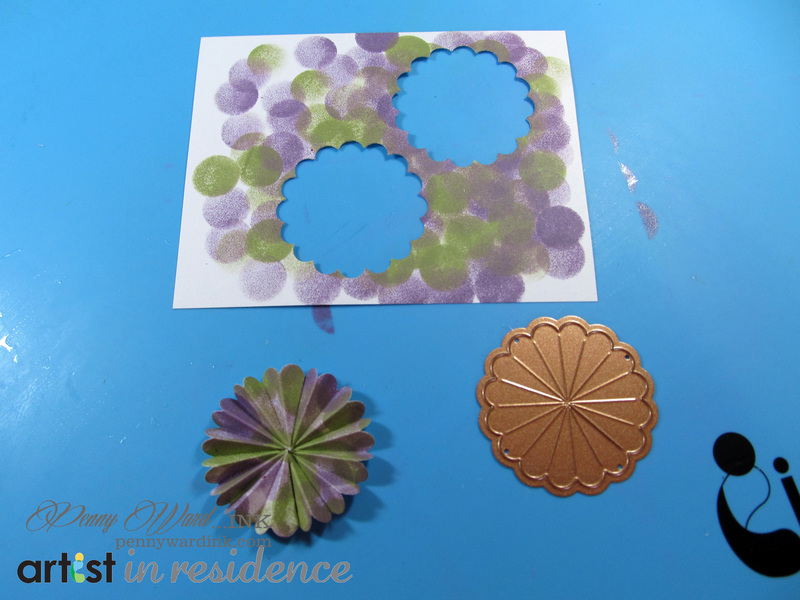 Spellbinders: Rosette Blooms die, So Trendy Embossing Folder. 1. Cut white cardstock 5¼˝x 4˝. 2. Emboss with So Trendy folder. 3. 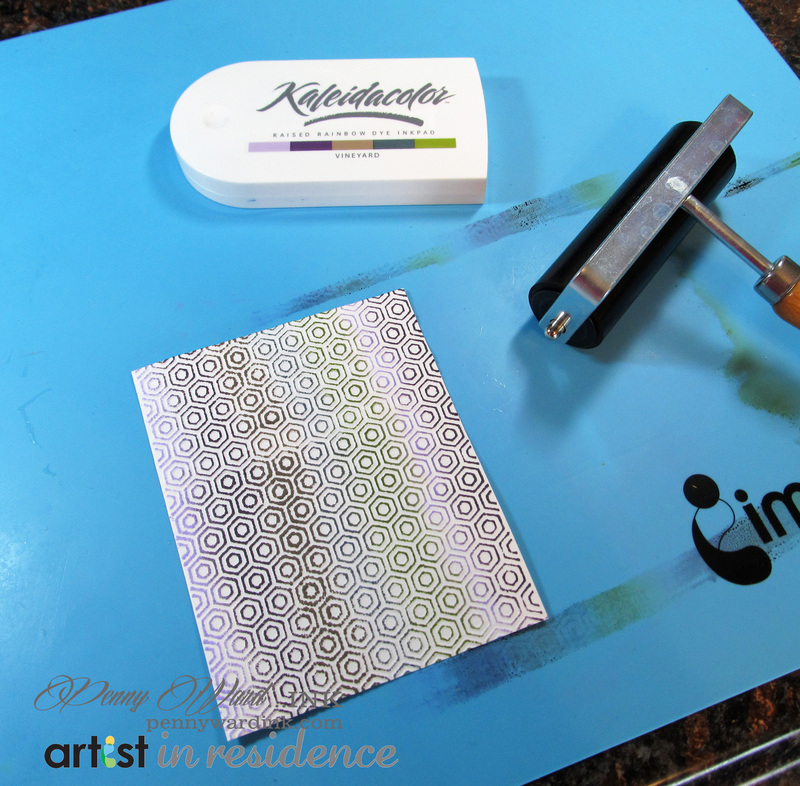 Brayer panel with Kaleidacolor Vineyard. 4. Cut another piece of white cardstock a bit larger in size. 5. 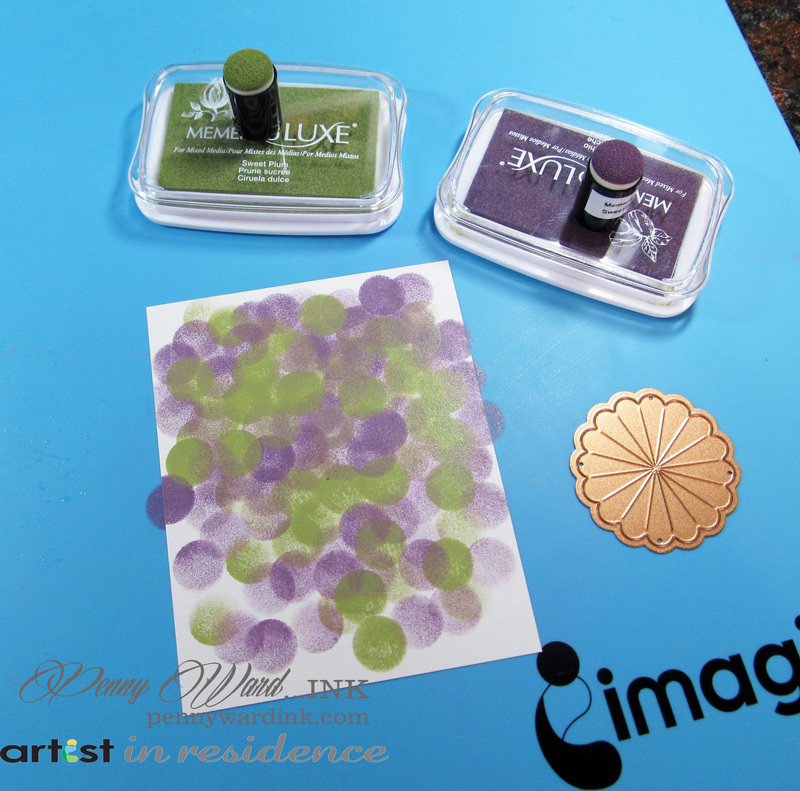 Cover this whole panel using a Sponge Dauber with Memento Luxe Pistachio and Sweet Plum. 6. Die cut two of the Rosette Blooms and adhere together to make one Rosette. 7. 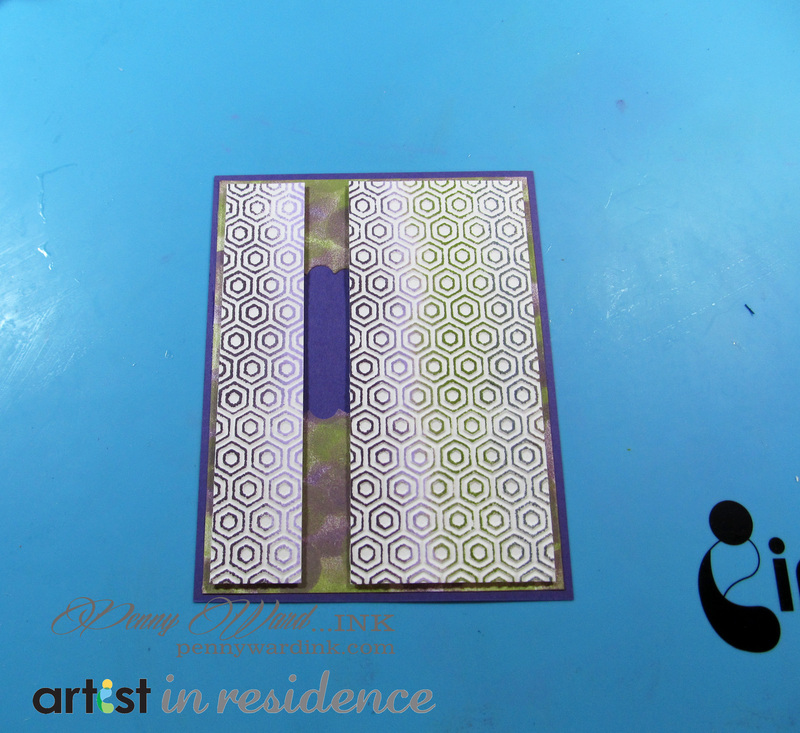 Adhere the inked/die cut panel to purple card stock measuring 4¼˝ x 5½˝. 8. Cut a small section from the brayered panel and adhere to card base with foam adhesive as shown. 9. Attach a brad to the Rosette and adhere to card front. 10. Stamp sentiment onto white cardstock, trim and adhere to card front. 11. Add a stick pin with beads beneath the Rosette. 12. Mist card with Sheer Shimmer Sparkle. This entry was posted in Penny Ward. Bookmark the permalink. Wow – everything about this card is trendy and GORGEOUS!! Such a job well done – that background is amazing and a half!!! So in love with this! Love how it looks like it is moving! Great effect! LOVELOVELOVE! This card is stunning. I love the colored embossed areas and the rosette.